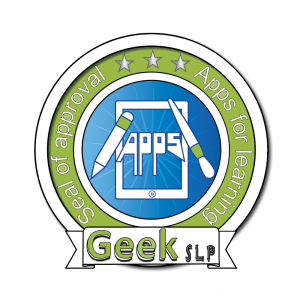 My good friend and special educator, Jeremy Brown, and me, Barbara Fernandes have decided to start reviewing apps and giving these apps an “Apps for learning approval seal”. We will provide these seals to apps submitted to us for review and that have certain parameters of quality and usability. 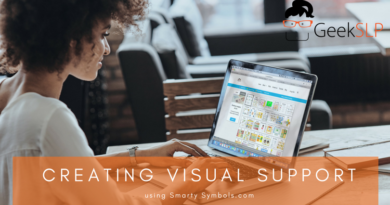 As an app developer, geek, and speech-language pathologist I will evaluate these apps and give the approval seal to apps that can be helpful in achieving student’s articulation, fluency, or language goals. Jeremy is a teacher and will also award apps his own seal. These approvals may happen together or separately. Apps awarded this seal are apps that have shown a level of quality and usability that are compatible with the app’s current price tag. 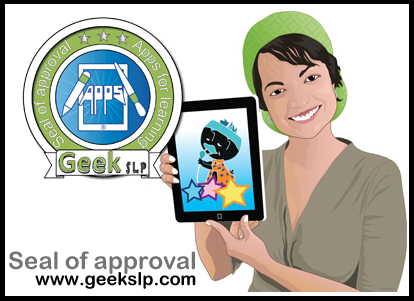 The GeekSLP Apps for Learning seal of approval will NOT rate apps, but indicate that the apps have been tested by me at a deep level. All functions of the urgent version of the app have been tested and proven to be bug free. How will you choose the apps? 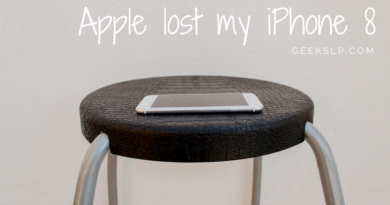 Do you take app price into consideration? The answer is yes and no. Yes, we should always take price into consideration when reviewing an app. It is not fair to compare an app that is sold for $.99 to an app that is sold for $200 and give the cheaper one a lower rating because it does less. If an app is sold for $200 you need to have MUCH MUCH higher expectations, and it would not be fair to place both apps at the same level. On the other hand, I also think that while many may see that a $200 app should make people invisible or fly, I think that users need to remember that app price does not have to be $.99; especially when the app was developed by a professional such as a teacher or speech pathologist. The $.99 price model is NOT a model that I think is fair to professionals and price should NOT be held against the app developer as I many times see on reviews ” I paid $2 1 for this app… and expected a lot more”. Well, $21 is very cheap for an app that allows you to change hair color. ( that app does not exist in case you are wondering). So, yes I take price into consideration but I think people need to remember what you pay for a software when you walk into a major store, apps and softwares that you buy on a CD are no different. Where can I find a list of apps that have been awarded the Seal? What can we expect from apps that have received the seal? 1. 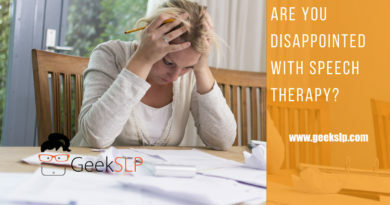 Expect to be able to see a full video demo of the app on geekslp.com so you can watch what it does before you buy it. 2. Expect the current version of the app at the time it was reviewed to be free of any bugs. 3. Expect to have a list of things to be targeted on the review and possible suggestions on how to use it. 4. 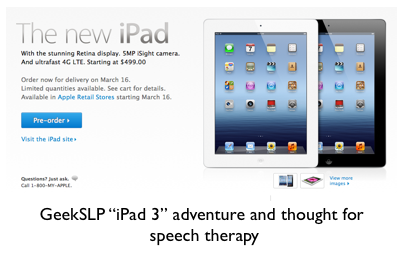 Expect the app to have been developed under the guidance of a speech pathologist or teacher. 5. Expect the app to work as described on iTunes ( the app may not allow you to fly, but if it says it will allow you to change hair color instantly it will do that).